2. 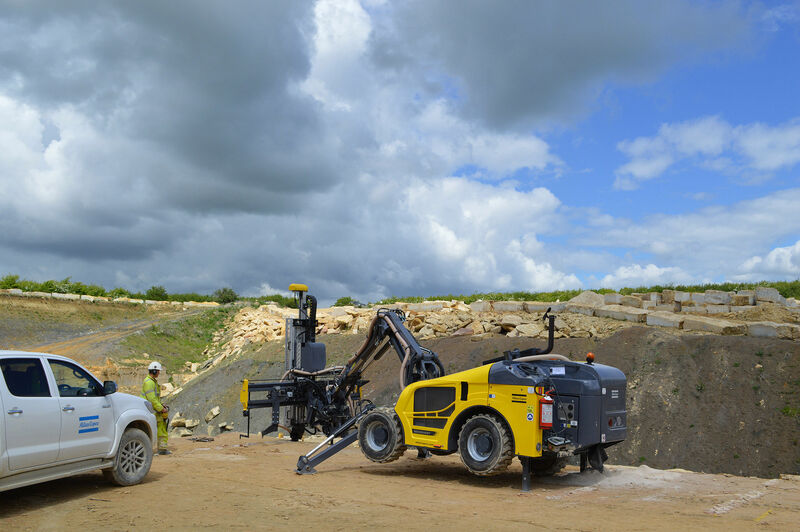 The first Atlas Copco Rock Buggy to be delivered to the UK is winning praise from drillers at the Blebe Stone limestone quarry in Lincolnshire. “With our previous equipment it would take 30 minutes to set up and drill a hole. Using the Rock Buggy the same hole is now drilled in two minutes,” explains Andy Smith, Production Director, Glebe Stone. Fitted with a unique three-way steering system, the Rock Buggy has proven to be the ideal solution, outperforming all other rival equipment on site.